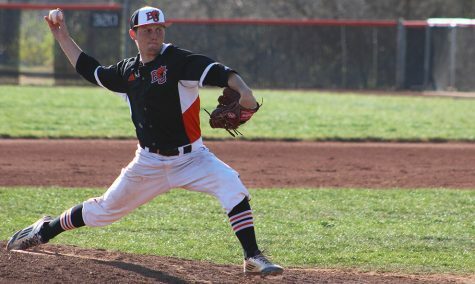 The baseball team was swept for the second consecutive season against rival MidAmerica Nazarene University in Olathe over the weekend. 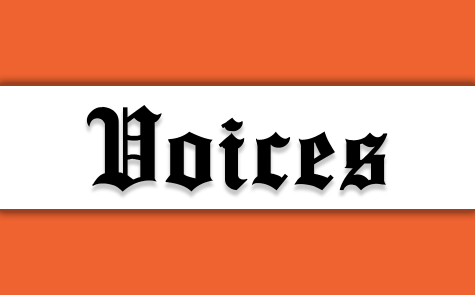 The Wildcats struggled to convert in the clutch, and the losses keep Baker in last place in the Heart of America Athletic Conference standings at 4-14. 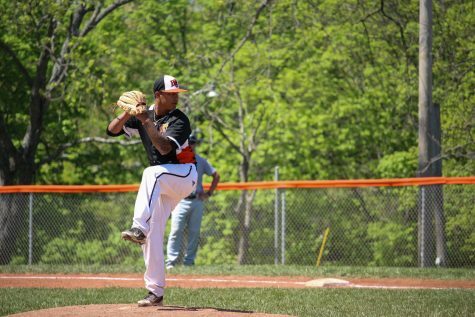 On Friday, junior Seth Jones, who threw a no-hitter against Culver-Stockton College last week, made the start in game one. Jones threw six innings and gave up three earned runs on three hits but lacked support from his offense. 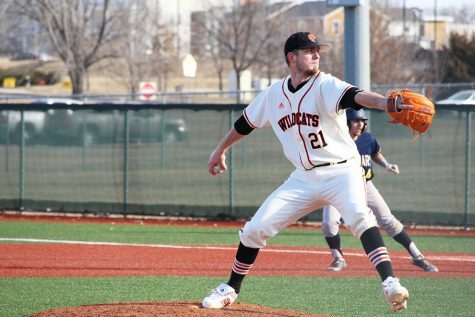 The Wildcats also only mustered three hits with one run in the fourth inning and were fanned seven times at the plate. The Wildcats lost 4-1 in game one and 8-2 in game two. In game two, MNU scored a run in each of the first five innings with three in the first, two in the second and one run each of the next three innings. Baker scored two runs in the sixth inning, its only runs of the game, and had four total hits with 10 strikeouts. 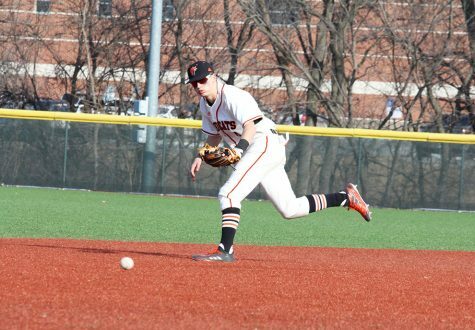 Despite some better offensive production on Saturday, Baker was still unable to come up with the clutch hit to separate from the Pioneers. In game three, senior Taylor Whittum gave up three home runs in the first two innings, exiting the game with Baker trailing 6-0. Whittum finished with 1.1 innings pitched, four hits and five earned runs. 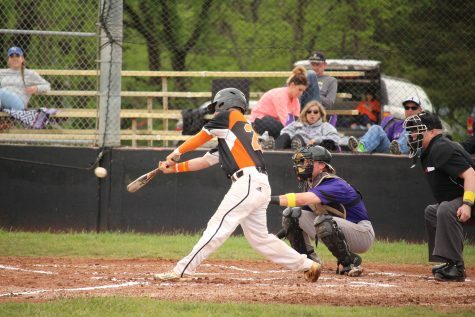 The Baker bats came to life in the fifth, sixth and seventh innings, though, plating home two, two and one run, but the rally came too late and Baker dropped game three 9-5. In game four, Baker came out hot in the first inning with three runs on RBIs from junior Travis Johnson and senior Ryan Terstriep. MNU responded with four runs and took a 4-3 after one frame off sophomore pitcher Lake Johnson. Johnson pitched 2.1 innings, allowing four runs on five hits. Terstriep singled in Travis Johnson in the third inning for his third RBI of the game to tie the game at 4-4. After a fourth-inning run for MNU, in the top of the seventh down 5-4, Baker had sophomore Austin Chisam on third base with one out but could not bring him in. Baker ended with a fly out and a strikeout, stranding the tying run just 90-feet away. The Wildcats dropped all four games for only the second time this season, but a sweep this late in the season may hurt Baker’s chances of cracking the top eight and reaching the conference tournament for the second season in a row. Baker will be on the road for the next eight game. 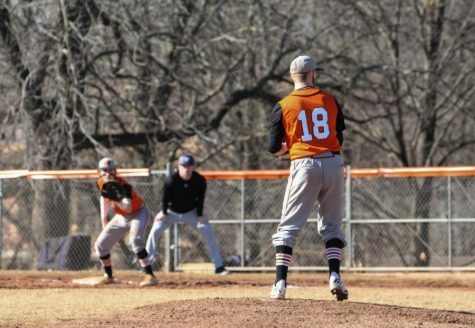 On Tuesday the men have a doubleheader at Ottawa University after splitting with the Braves at Sauder Field on Feb. 10. On Friday and Saturday the Wildcats have a four-game series at HAAC-leading Peru State University. The Bobcats are 17-3 in conference play, and a sweep by Peru State could mathematically eliminate the Wildcats from the conference tournament. 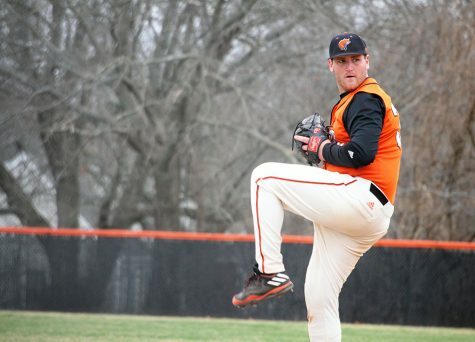 If Baker does turn the series around to sweep Peru State, the Wildcats would be in the driver’s seat for a tournament berth heading into the final week of the season.